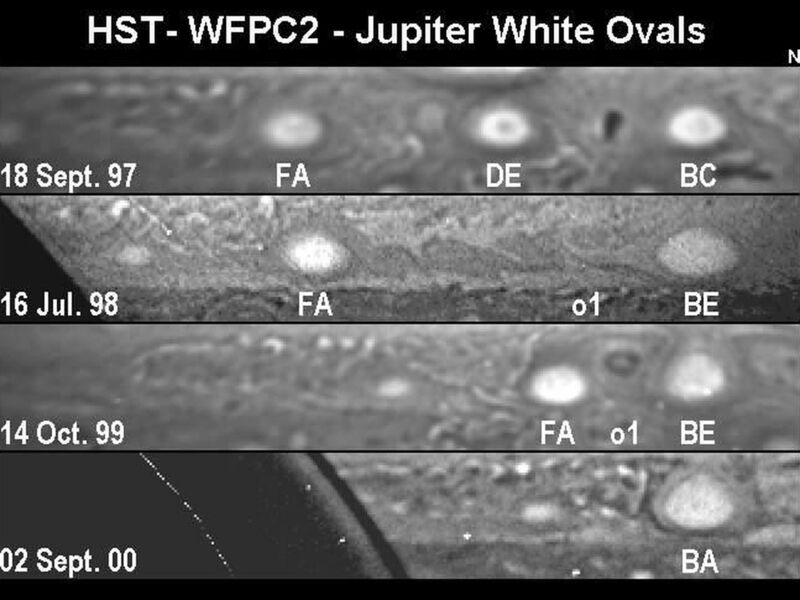 These four images of clouds in a portion of Jupiter's southern hemisphere show steps in the consolidation of three "white oval" storms into one over a three-year span of time. They were obtained on four dates, from Sept. 18, 1997, to Sept. 2, 2000, by NASA's Hubble Space Telescope. 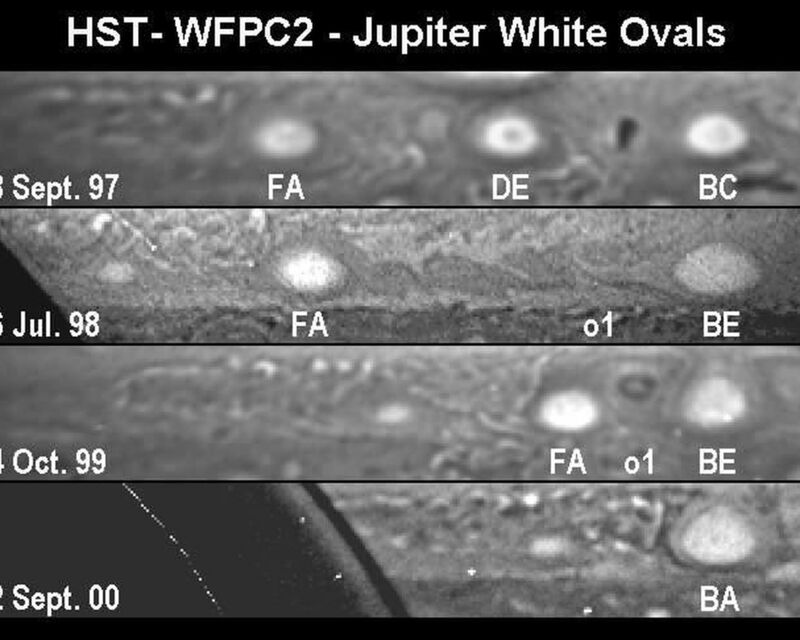 The widths of the white ovals range from about 8,000 kilometers to 12,000 kilometers (about 5,000 miles to 7,500 miles). North is up and east is to the right. 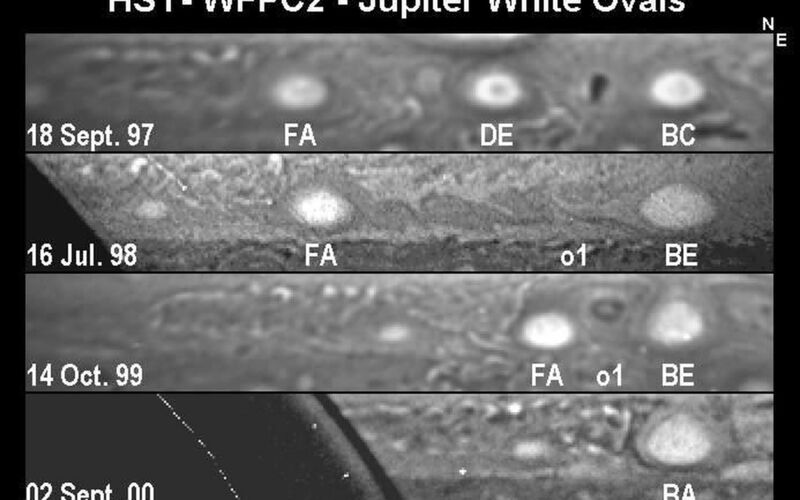 The top image shows three white oval storms, which had coexisted for about 60 years. They were nicknamed FA, DE and BC, in order from west to east. By mid-1998, as shown in the second image, the two easternmost storms had merged into one, called BE. 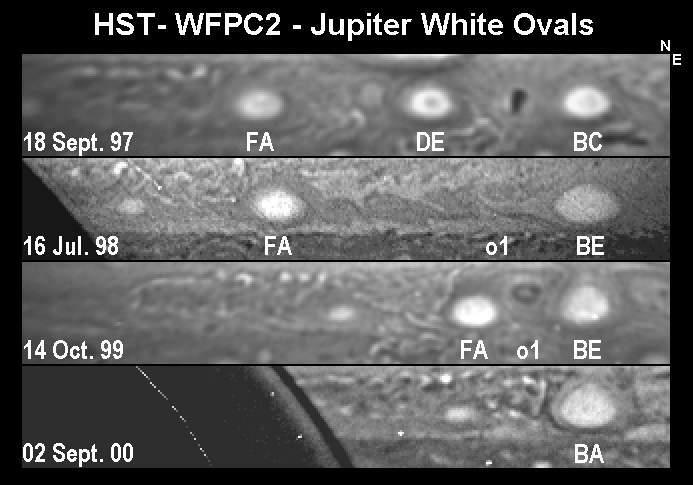 By October 1999, as shown in the third image, the merged oval and the last of the original three were approaching each other, but they were separated by a dark storm, called o 1, between them. The two white oval storms later merged into a single storm, as shown in the final image from September 2000. The Hubble Space Telescope is a facility of NASA and the European Space Agency. It is operated by the Space Telescope Science Institute, Baltimore, Md., which is managed for NASA by the Association of Universities for Research in Astronomy in Honolulu.